Bold, dramatic and exciting, the views from this Bella Vista estate are nothing short of explosive. When the door opens, a panorama of ocean, Channel Islands, Santa Barbara harbor and seemingly all of Montecito is revealed. 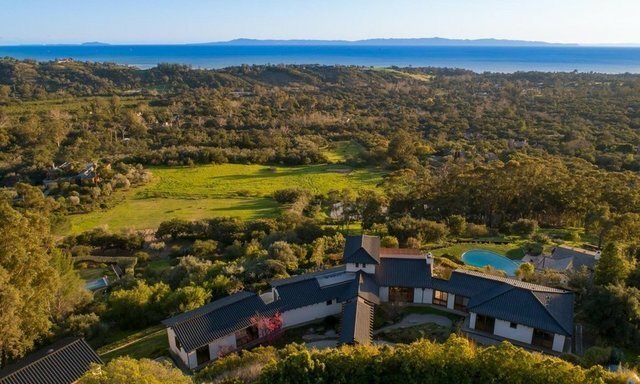 This unparalleled property offers a 4 bedroom main residence, guest house, pool and spa, dry stream gardens, rose gardens, two koi ponds, fruit trees, and numerous hiking/equestrian trails on over 4.5 private and walkable acres. Expertly designed by world renowned architect Robert Attree (Architectural Digest) with visionary expertise, the mostly single-level main residence is scaled with an intimate footprint.